Dr. Linden began his healthcare career as a clinical scientist in the areas of cardiovascular and pulmonary physiology. 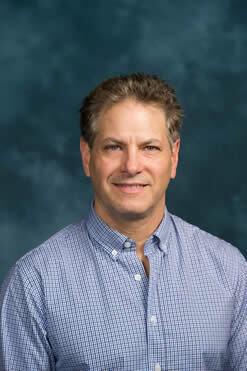 He completed his doctorate at UCLA in health services research in 1997, extending his expertise in clinical research to measurement and evaluation strategies of large scale and population-based interventions. Dr. Linden has published over 100 peer-reviewed papers, book chapters, letters to the editor, and scientific abstracts. In 2003 he was commissioned to write a position paper for the disease management industry’s trade organization - the Disease Management Association of America (DMAA), and in 2006, Dr. Linden won the DMAA's prestigous award for "Outstanding Journal Article." In 2008, he was named "Leader in Disease Management" by Managed Healthcare Executive. Dr. Linden currently is a research specialist in the department of medicine at the University of California, San Francisco. He previously held appointments at the University of Michigan and Oregon Health and Science University. He has also been a Visiting Professor in four countries. He further contributes to academic advancement as an Associate Editor of the Journal of Evaluation in Clinical Practice (JECP) and serves on the editorial board of seven other medical journals.